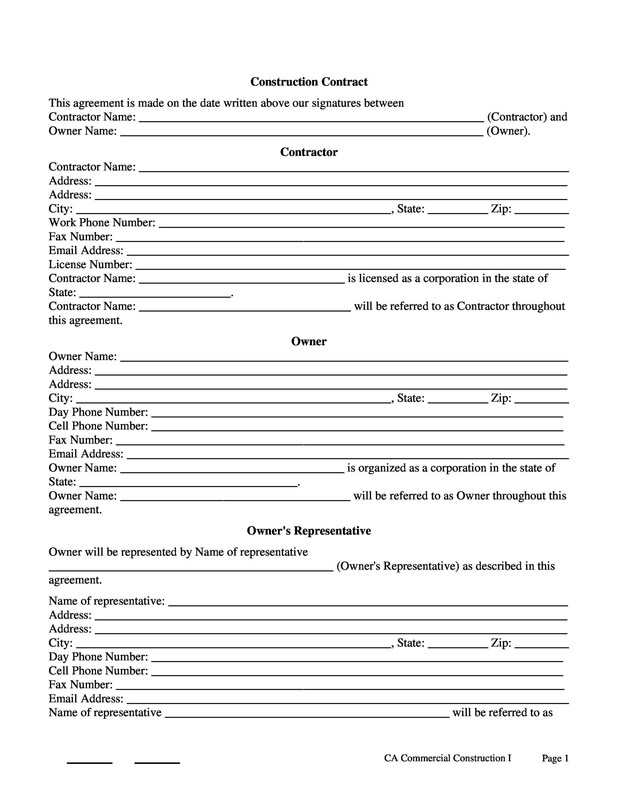 A contract template refers to a template used for writing a contract. There are many different types of contracts including employment contract, construction contract, photography contract, and service contract. 2 What is a contract? 3 What are the terms of a contract? Regardless of the type of contract you want to write, you can use a contract template to draft the contract. 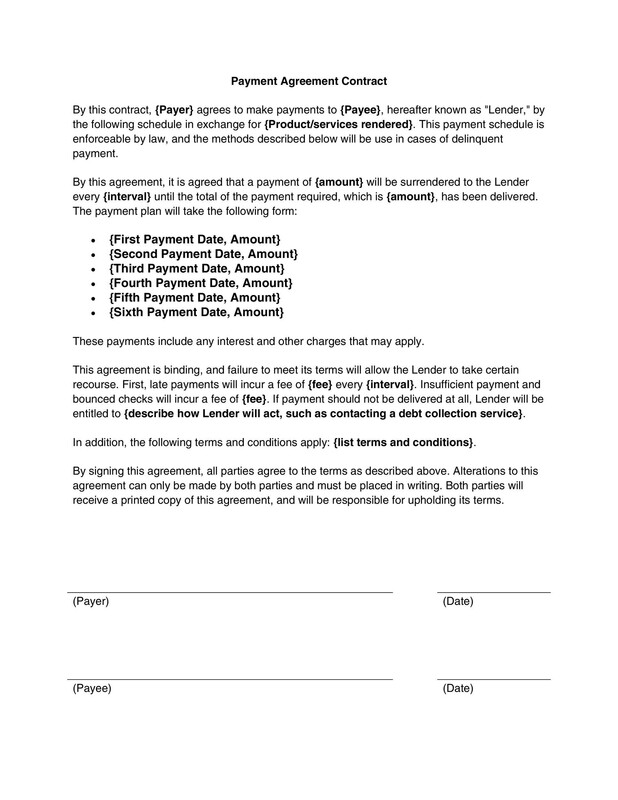 With the help of a contract template, you can draft any contract type. Let’s now take a look at what a contract is and how to write one. You will be taking a massive risk if you enter into business relationship without considering the type of relationship you want. Having blind trust in the other party or entering into agreements haphazardly is a trap you shouldn’t fall into. Even if you’re entering into a business agreement with a family member, you should put your own business interest first and enter the agreement via a contract. A good way to avoid disputes with business partners and associates is the use of legally binding contracts. Usually determined after some negotiation or discussion, the relative requirements and obligations of each part are what a contract specifies. No specific terms or language is required to write a contract. However, before writing a contract, you must carefully think about the terms of the contract. What are the terms of a contract? You can easily find this out by taking a looking at a contact template. Nonetheless, we will be discussing the terms of a contract in the next section. What are the terms of a contract? Often, the parties will make various statements before entering into a contract. 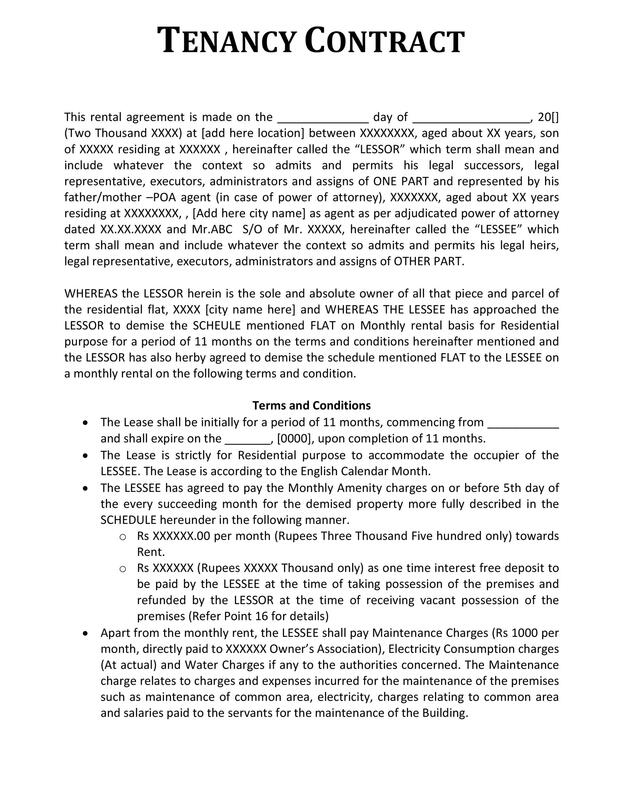 Therefore, later on, disputes may arise regarding which statements to include as a term, or a part, of the contract and which statements to dispose of as only pre-contract talk. The terms of a contract are the only thing that binds parties to a contract. There is absolutely no importance of outlying statements that may have been made. However, there are legal consequences of pre-contractual misrepresentation. Generally, there are two reasons for a written contract—the parties entering into an agreement have chosen to put the agreement into writing or legislation requires the agreement between two or more parties to be in writing. 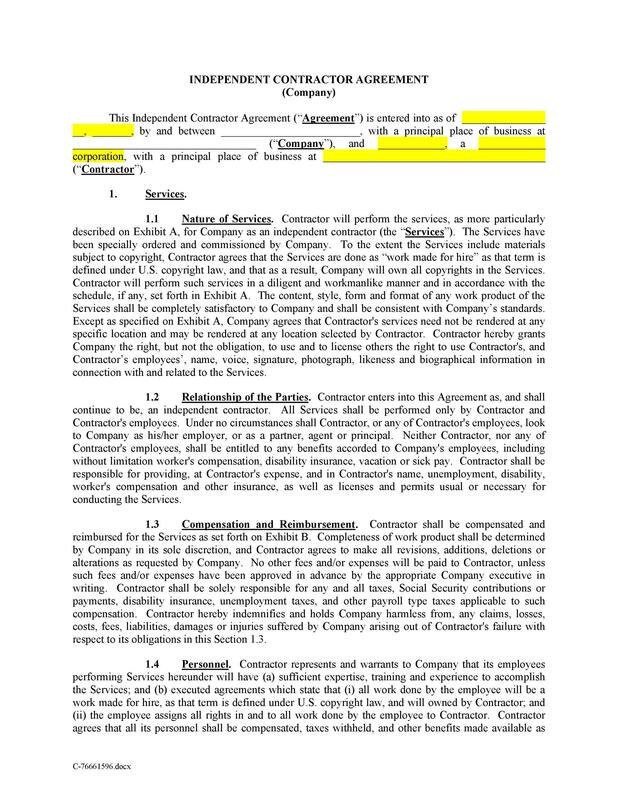 When a contract is in writing, the written document is perceived as the complete statement of the terms of the agreement. This means that the argument by a party to include a statement made during negotiations into the contract will not be successful once the terms of the contract have been written and signed for. Nonetheless, there are certain contracts terms that may be implied i.e. read into the contract. Important things overlooked by the parties may be implied into the contract. Also, certain terms will be read into the contract if such an act is prescribed by consumer legislation protection. Now that we’re done discussing the terms of a contract, it’s time to look at how to write a contract. 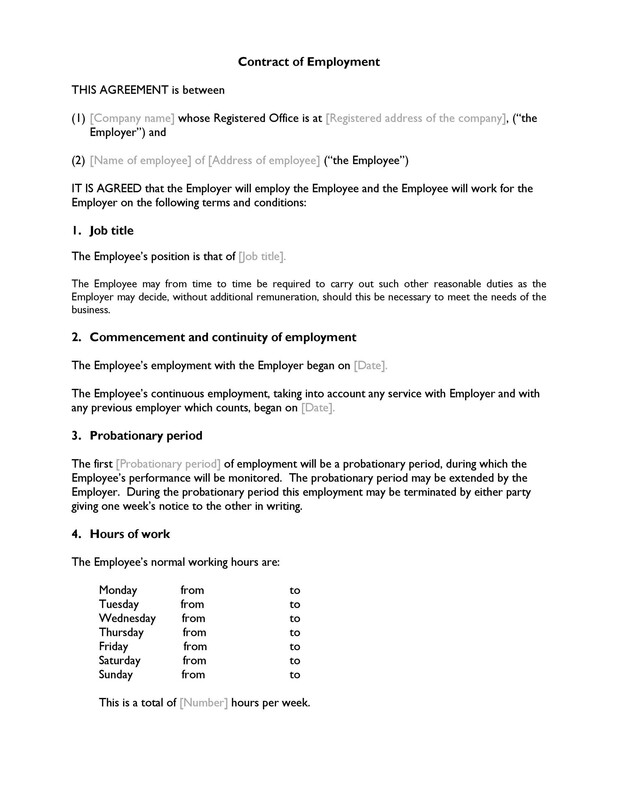 Using a contract template, you can easily write a contract. However, we’re still going to discuss how you can write a contract. The contract writing process is pretty simple. In order to write a contract, you need to keep a few basic rules in mind. What are these rules? Let’s take a look. The first and foremost rule of writing a contract is ofcourse getting it in writing. 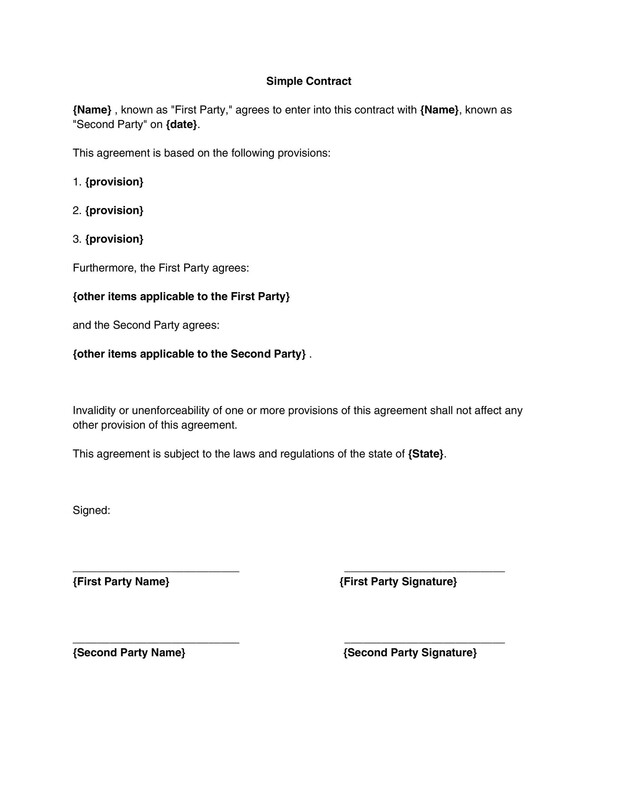 When parties enter into a contract, the first thing they look for is written proof of the agreement and the terms by which each of them is bound. Although verbal agreements do take place, they are difficult to enforce. Furthermore, most people tend to have short memories so the terms can easily be misrepresented or misremembered. Therefore, the first step in writing a contract is to getting the contract in writing. This cannot be emphasized enough: when writing a contract, use a language that you and other parties in the contract can easily understand. Contrary to the popular belief, a contract does not need to include legal terms. The best language that you can use to write the contract is plain English: this is language people have no problem understanding and deciphering. Just make sure that the terms you write specify the obligations of each party as well as the consequences of violating the agreement. Also, a great way to make the contract more readable and understandable is segmenting it into individual units. If you want to know how to write a contract then you keep a few rules in mind. This includes writing down the specific details. In order to ensure that little interpretation is required, lay out the obligations and rights of each party in specific language. For example, instead of writing end of the month, use the specific number if you want something delivered on the 30th of each month. Also, rather than depending on a verbal agreement, make amendments to the contract if you and the other party (s) agree to a new term or decide to make changes to an existing contract term. In most cases, verbal agreements have no legal standing. When you enter into contract with them, the other parties in the contract are likely to gain access to your business practices and other valuable information. Therefore, it would be sensible of you to bind the parties from disclosing or sharing your information or the information in the contract by adding a clause that forces them to do so. 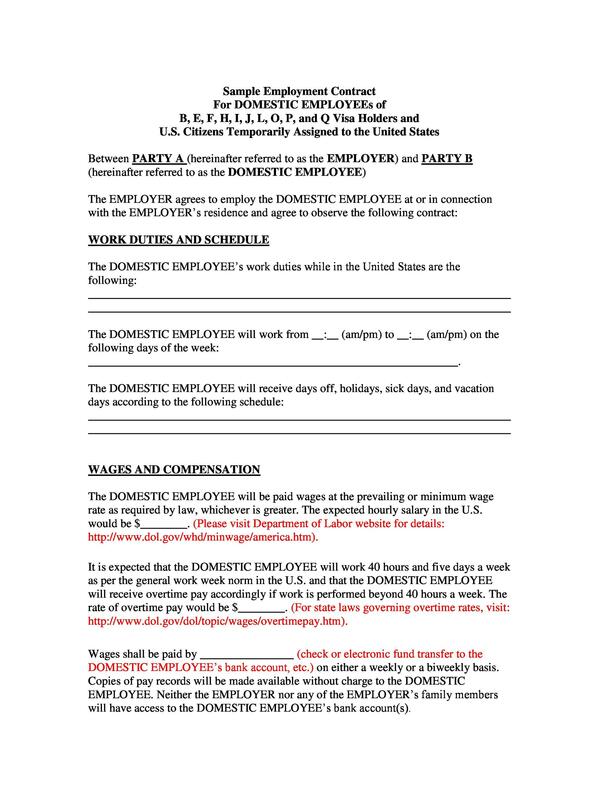 A written contract must include how to terminate a contract. Contracts do not last a lifetime. Therefore, there must be a mechanism that allows you to easily terminate the contract in case a party fails to perform their duties or continually misses payments. 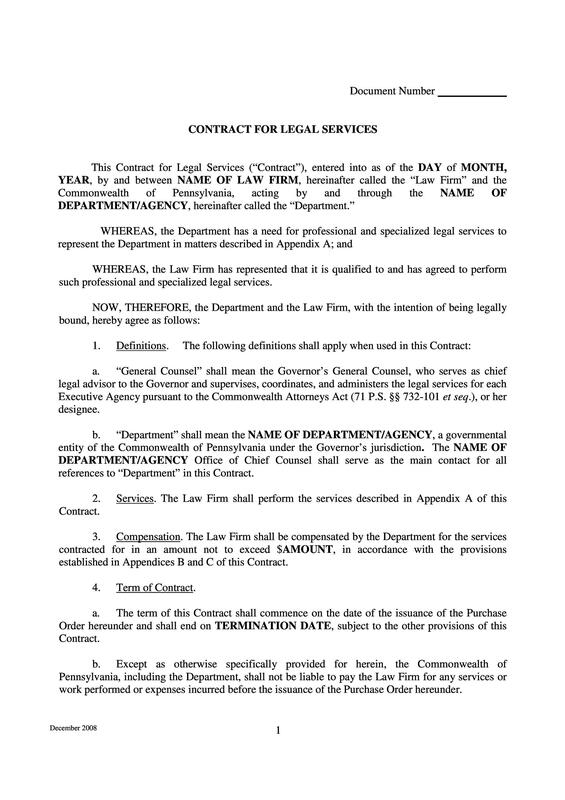 In the event of a dispute, contracts specify which state’s laws will come into play. It is important for to include a clause that specifies which state’s laws will govern in case the other party is located in another state. If you fail to do this and there’s a dispute then you are likely to be involved in another legal argument about which state’s laws should be applied to the contract. 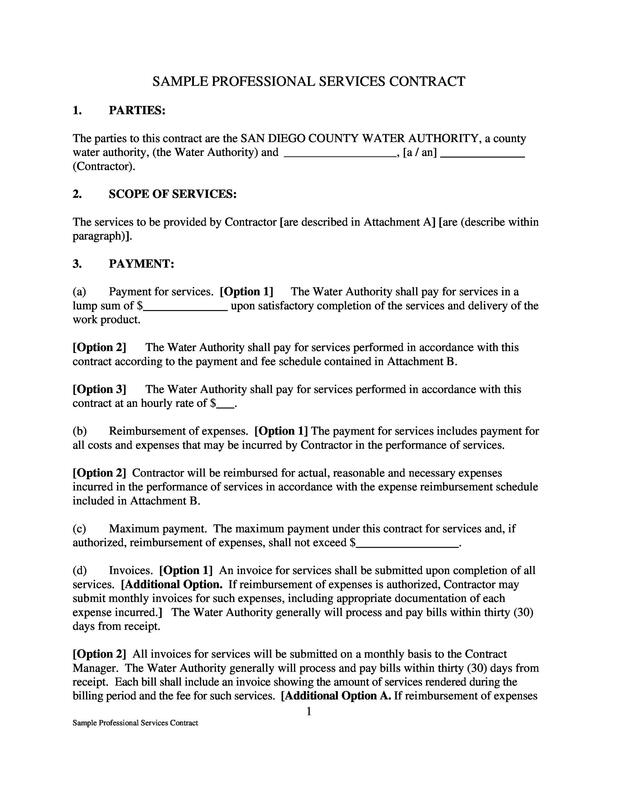 Therefore, to avoid such a situation, agree to the state’s laws which will govern the contract in case there’s a dispute at the very beginning. Once you’ve written the contract, the last step is to sign the contract yourself and also have the parties sign it. By signing the contract, all parties agree to the terms of the contract. There you have it—how to write a contract. 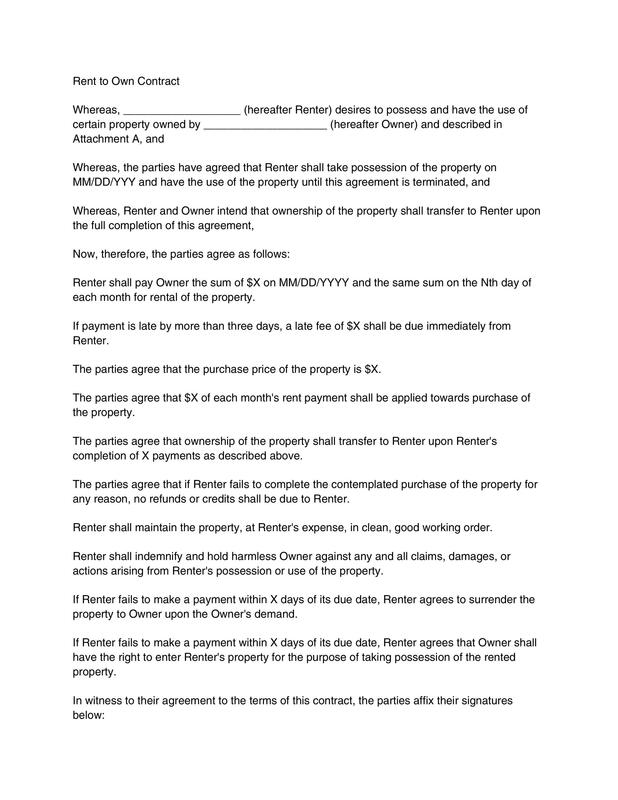 The aforementioned process gives you a general idea of how to write a contract. However, if you want to write a contract without mistakes and to the point then you may want to use a contract template. 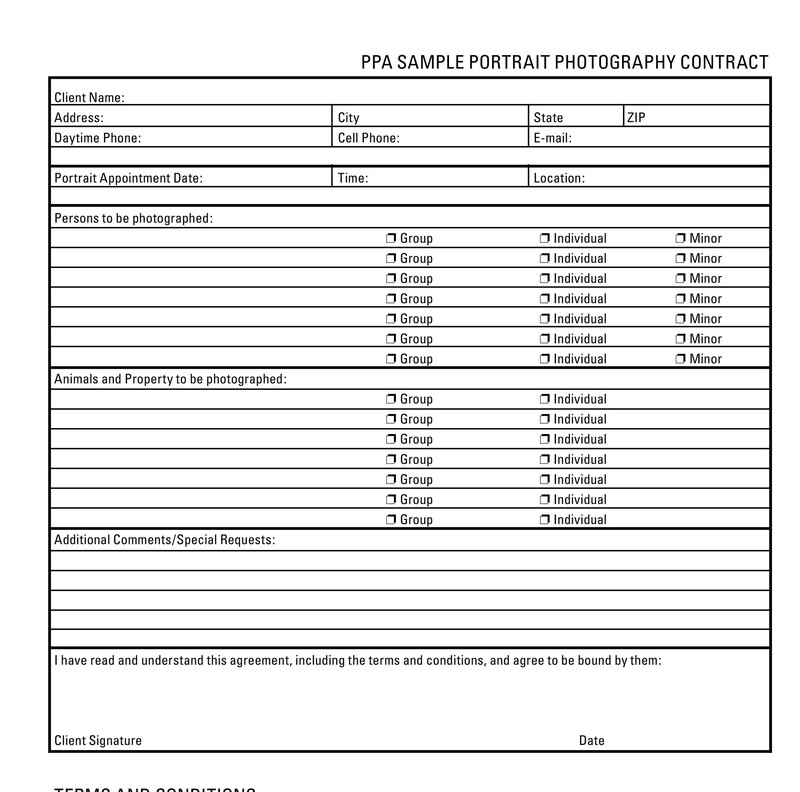 Whether you want to write a construction contract, a photography contract, or an employment contract, a contract template can make writing a contract easy for you. Let’s now briefly discuss the aforementioned contracts. 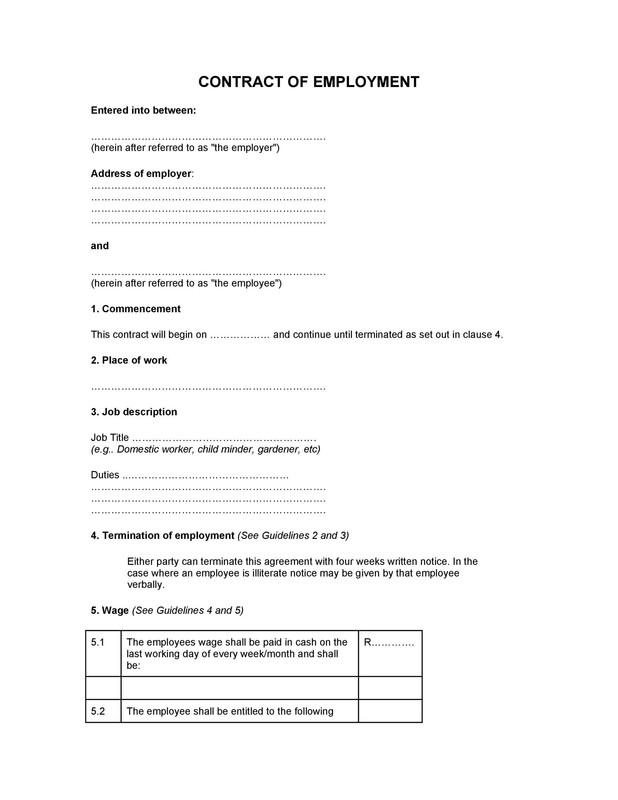 Using an employment contract template, you can easily write an employment contract. 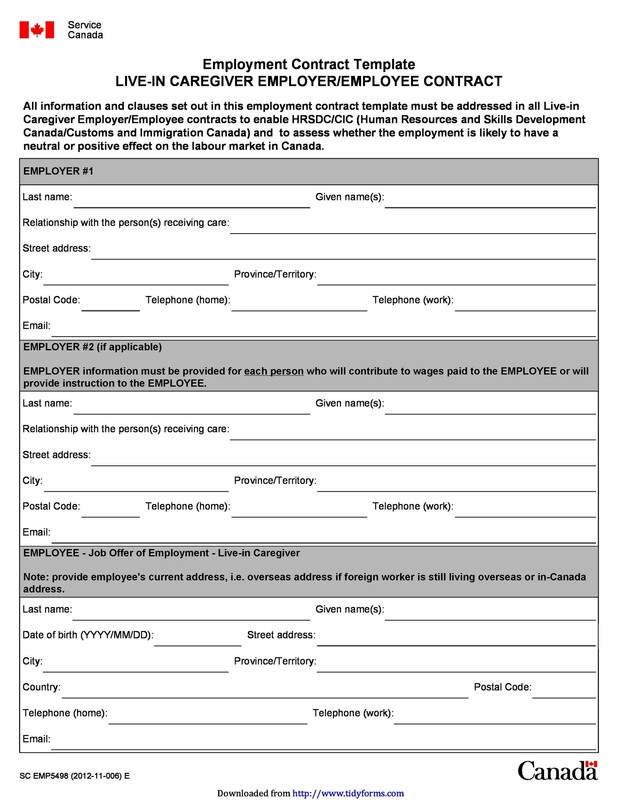 What is an employment contract? 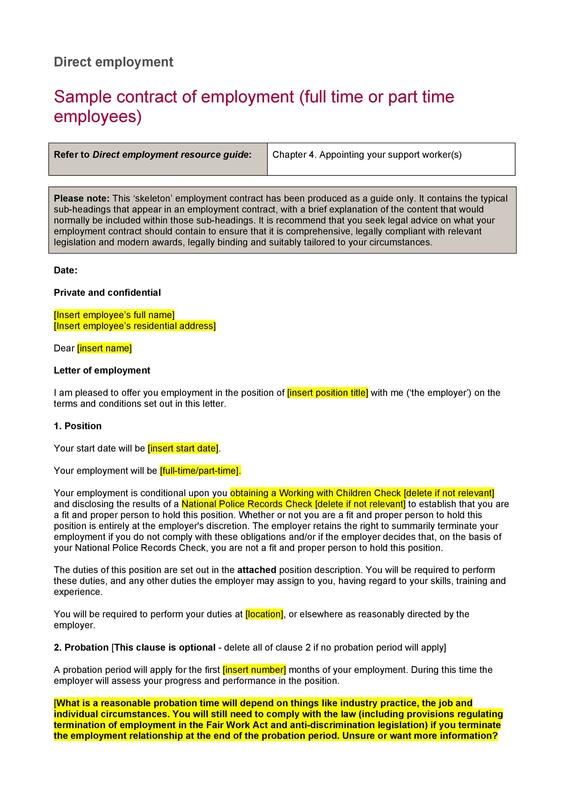 A written legal document, an employment contract lays out the terms and conditions that bind and employee and an employer. When it comes to employment contracts, differences exist in the public and private sector. The reason for this is that both sectors have different employment contract goals. 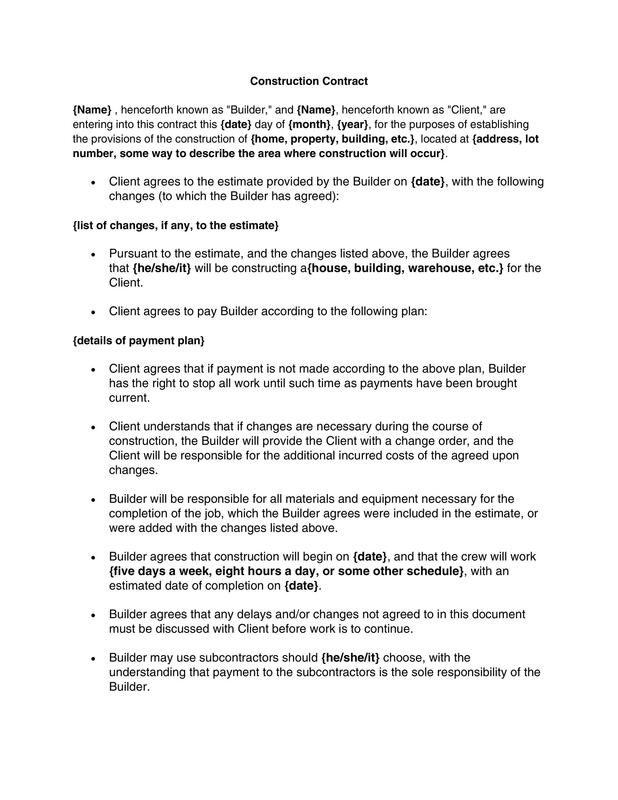 A great way to write a construction contract is using a construction contract template. 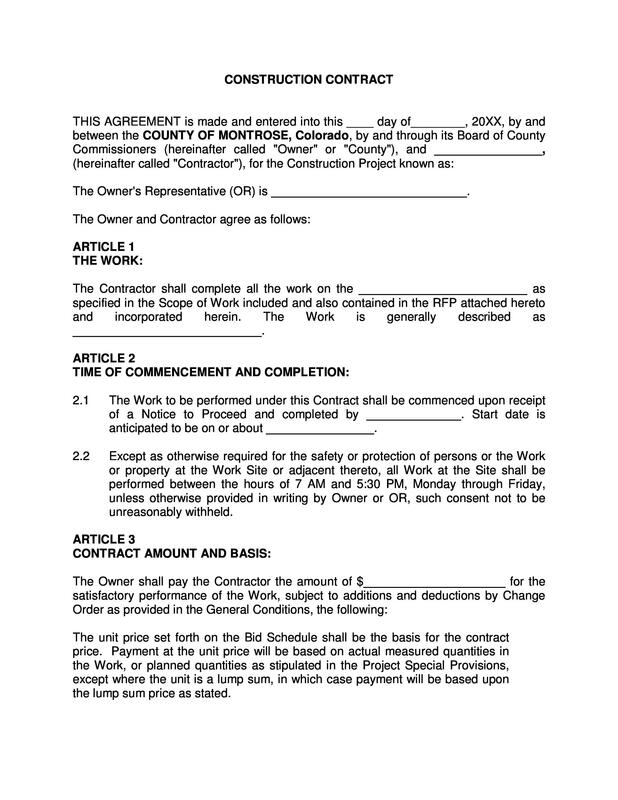 What is a construction contract? 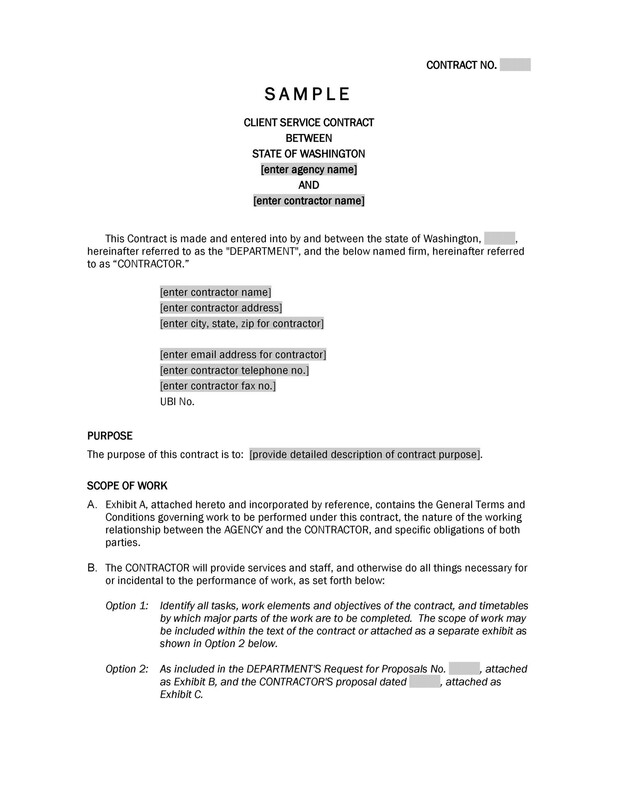 Obvious from the name itself, a construction contract is a contract related to construction. 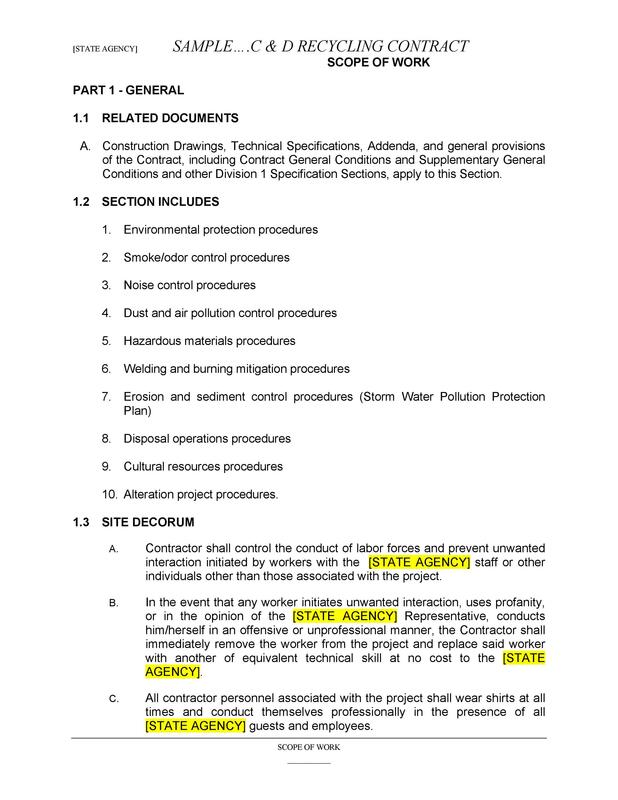 Being more specific, a construction contract is a document that sets a date and names the parties which are going to be a part of the construction process. Usually, the construction contract includes the supplier or contractor providing the requested services and the owner of the construction project. 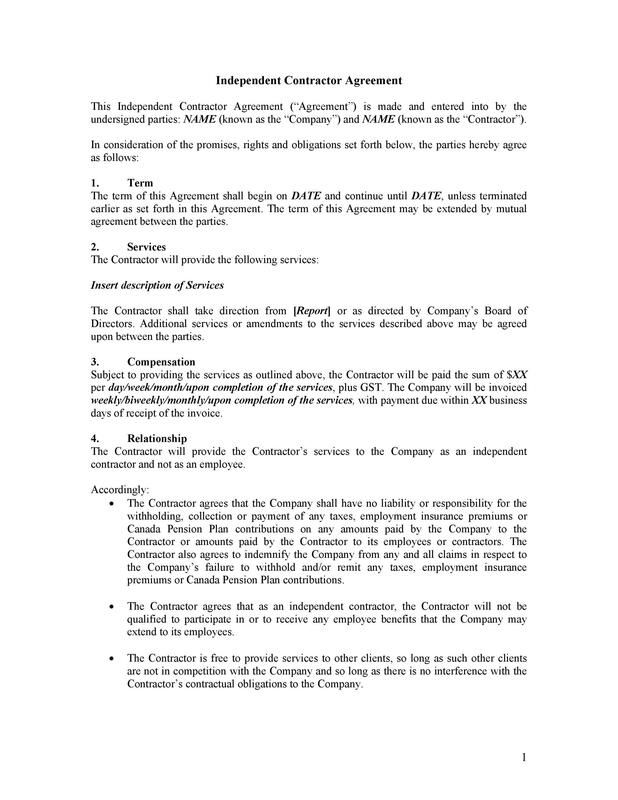 Furthermore, the contract includes several clauses that define the terms, conditions and scope of the agreement. A construction contract makes the supplier or contract providing the requested services and the owner of the construction project liable to each other. 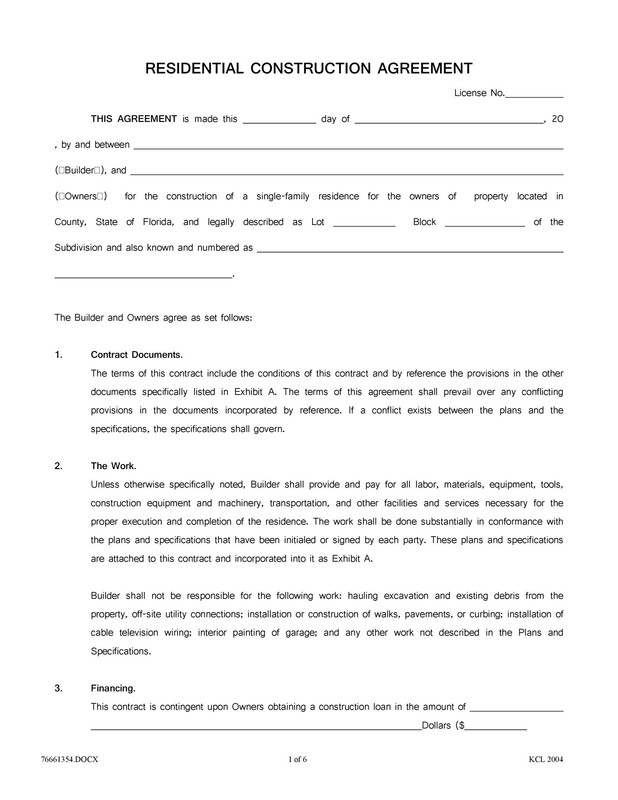 Using a construction contract template, you can easily create a construction contract. 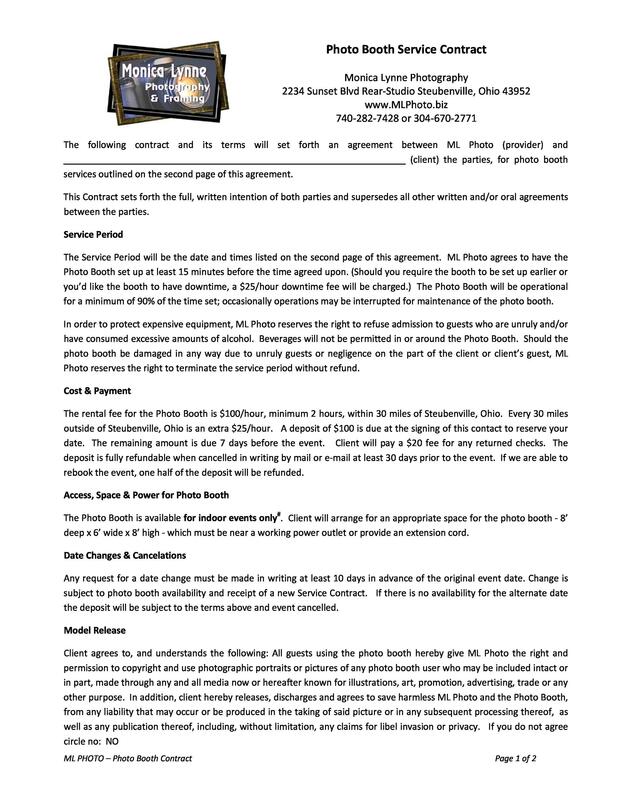 Although not many people are familiar with it, a photography contract does indeed exist. 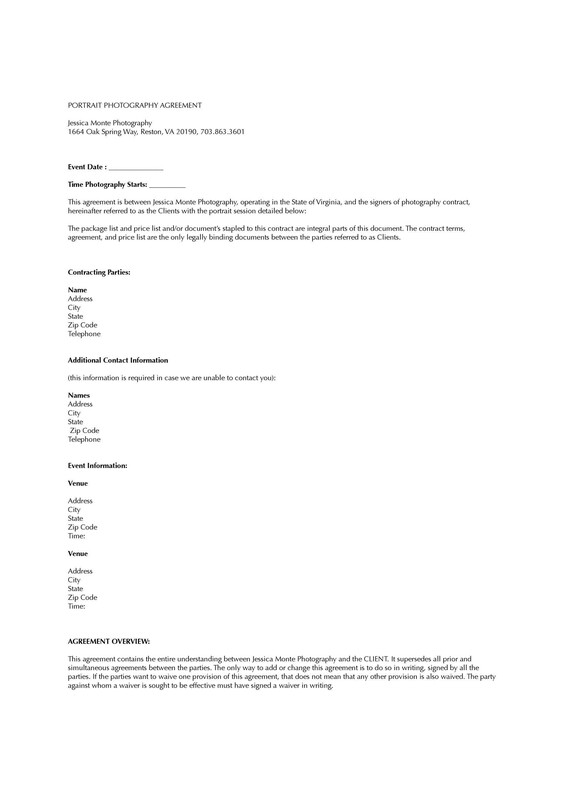 In order to create a photography contract, you can use a photography contract template. 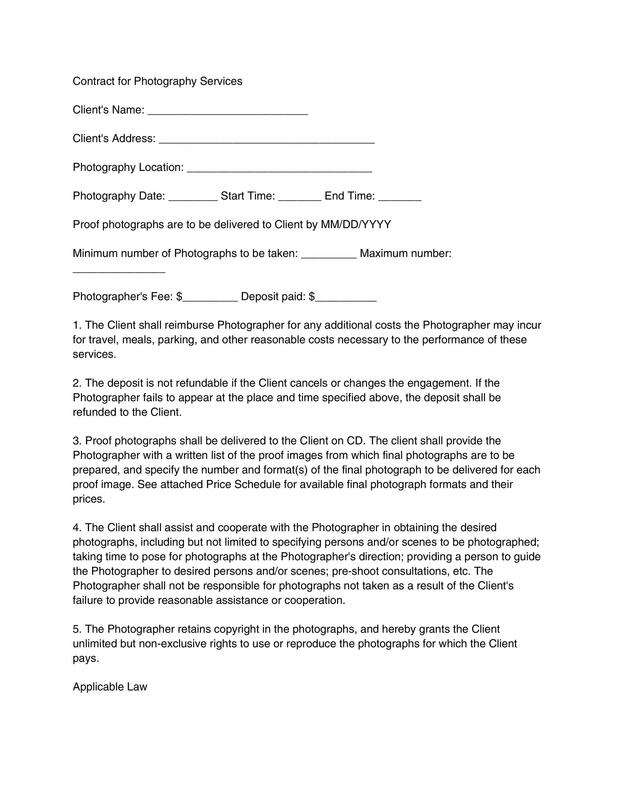 What is a photography contract? 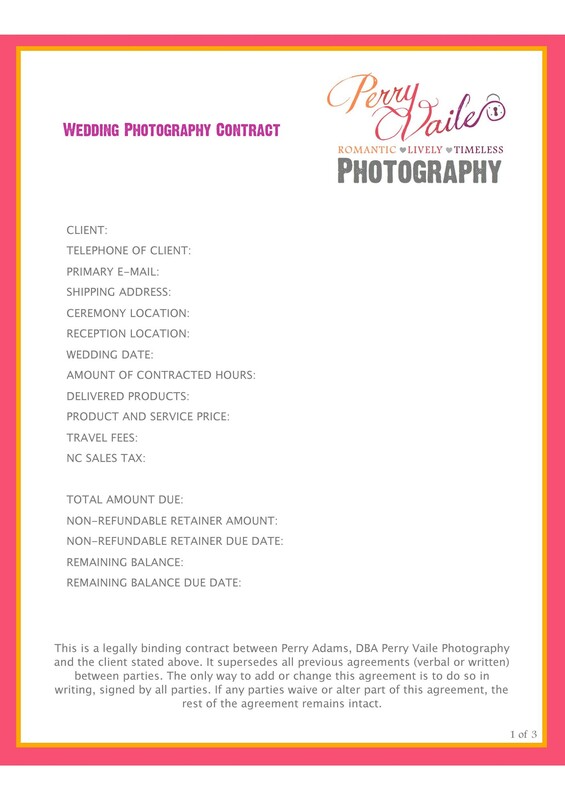 A photography contract is a contract that states all the services a photographer is supposed to provide the party hiring him or her. 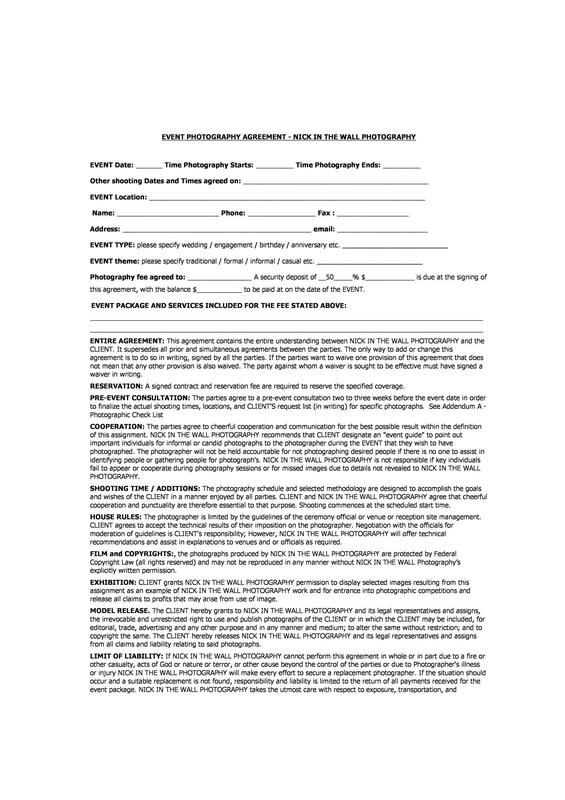 Furthermore, it includes the photographer’s hours of work, the price of the job, the terms of payment, delivery date or time period, image rights, policies on other photographers and failure to comply clause. 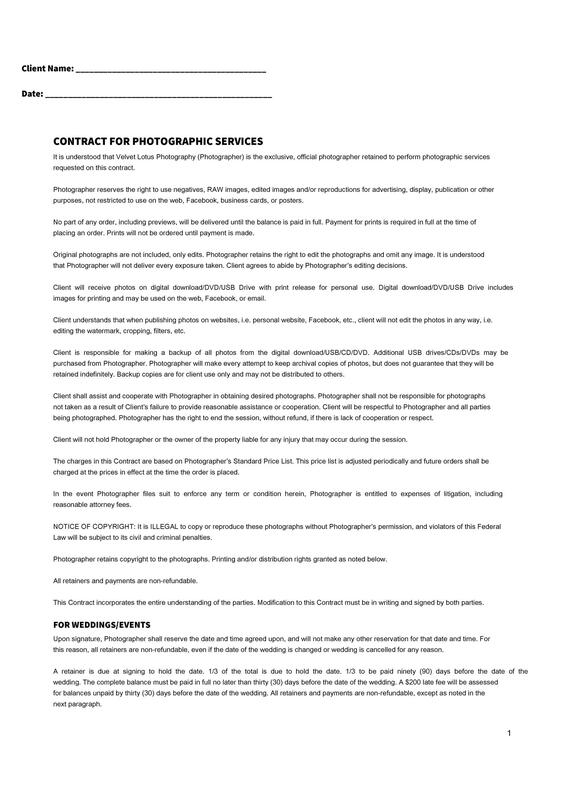 Apart from the aforementioned things, several other things may be included in a photography contract. 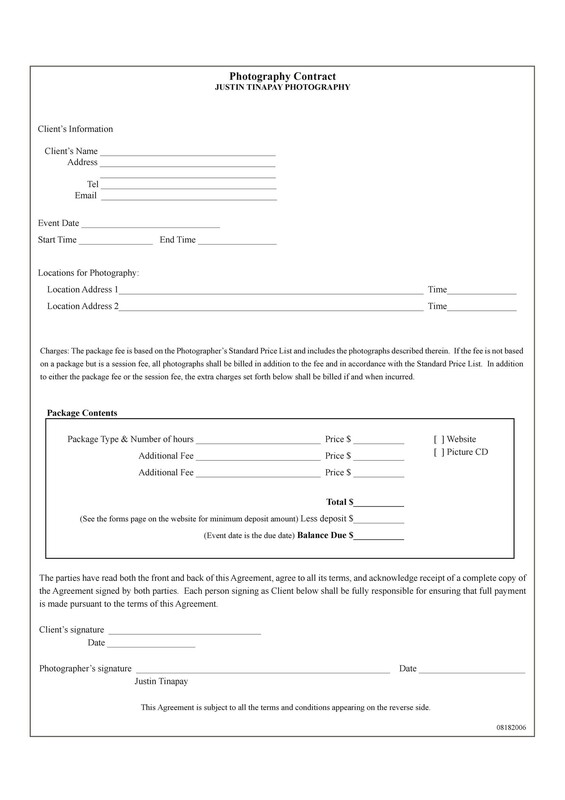 To find out about all the things to include in a photography contract, refer to a photography contract template. There you have it—three contract types. 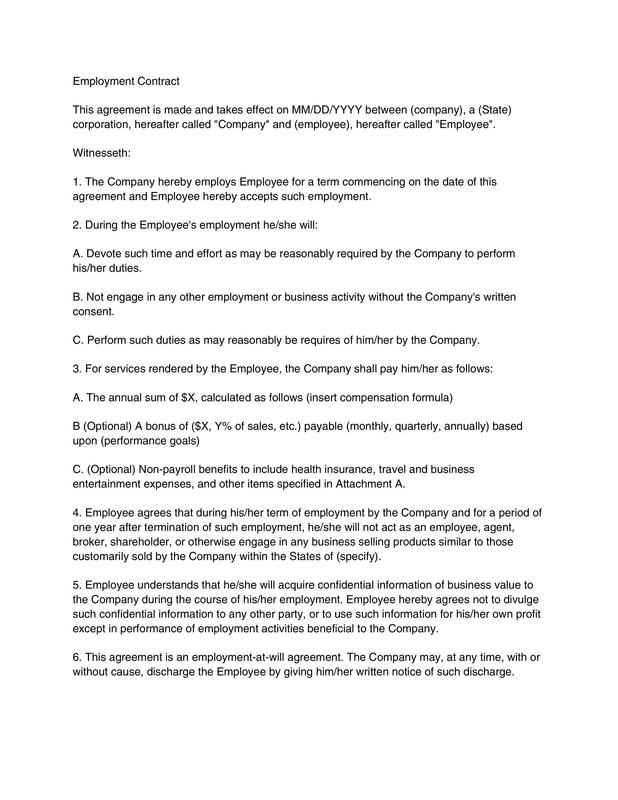 Apart from the aforementioned contracts, there are many other contract types. 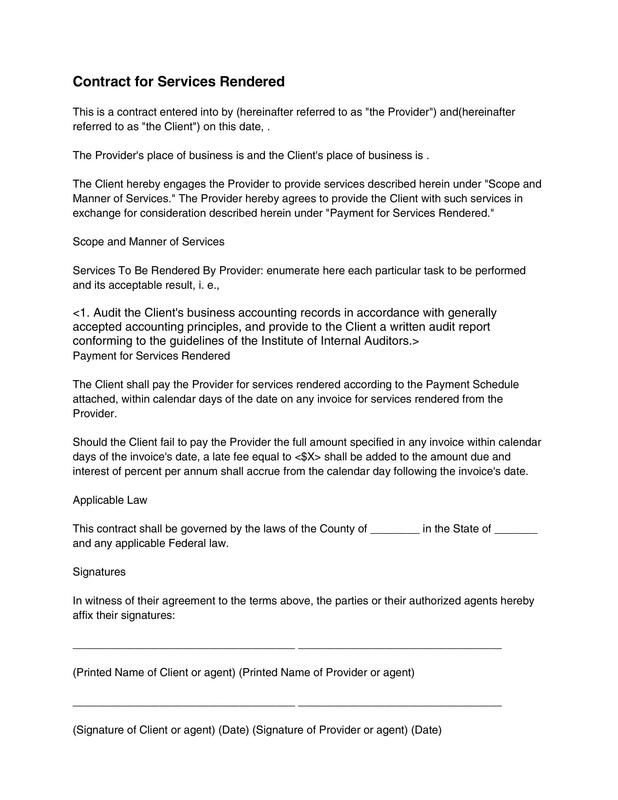 However, the good thing is that you can easily write the other contract types with the help of a contract template. 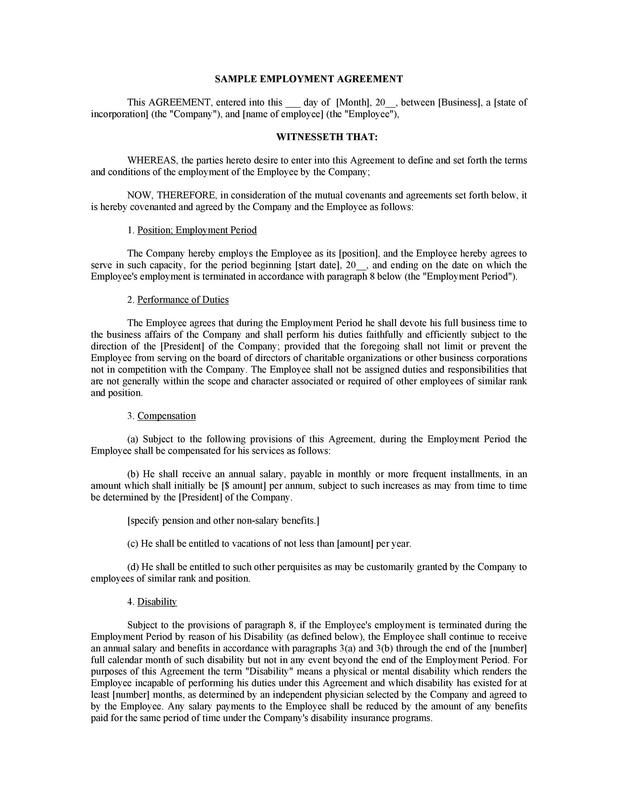 A contract template makes writing any type of contract easy. Contract templates are extremely useful. Often, writing a contract yourself can be extremely intimidating especially if the contract encompasses many terms and conditions. 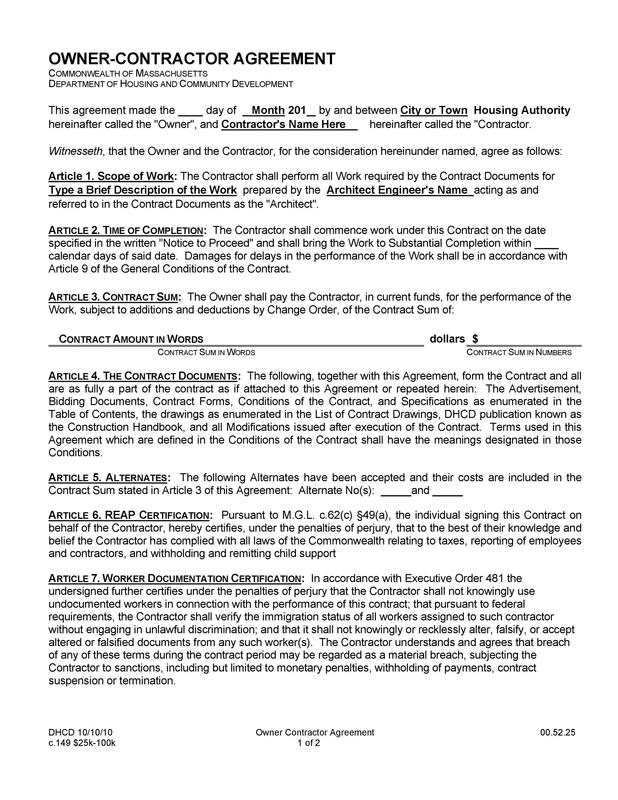 However, thanks to contract templates, writing a contract is no more difficult. 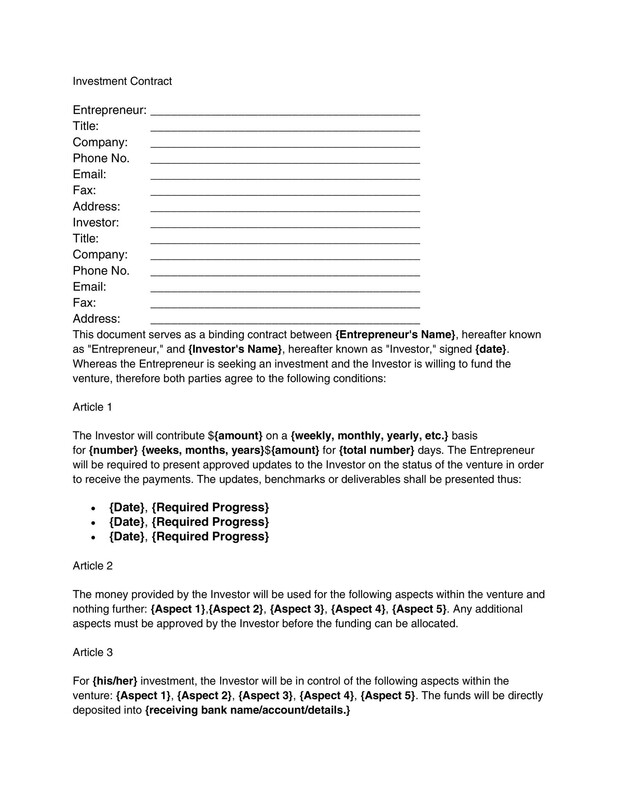 By just taking a look at a contract template, you can easily write the contract you’re looking to create. The basic components to include in a contract are what a contract template informs you about. For many people, writing a contract is a boring and tiring job. 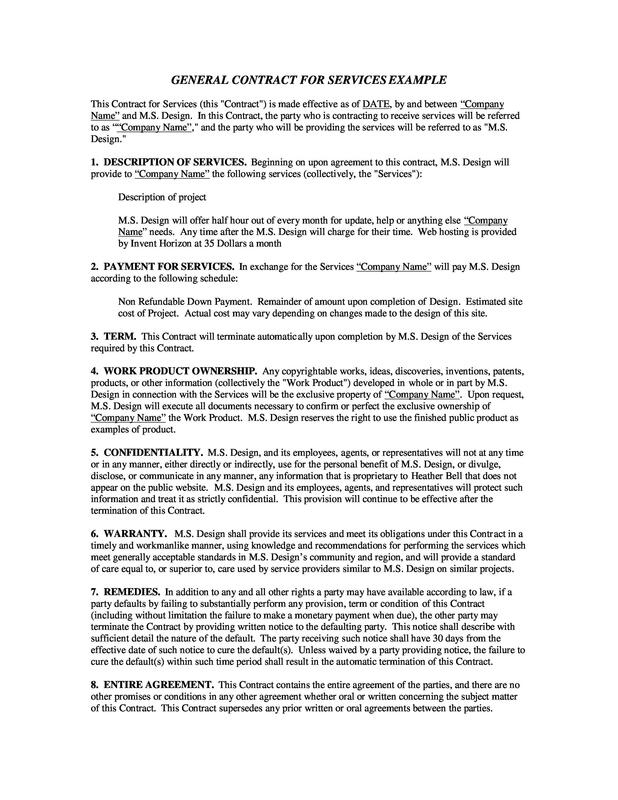 These are exactly the kind of people contract templates look to serve. For many businesses, contracts are of the utmost importance. Contracts are a vital component of any business and they should be treated such. Writing a contract in haste is a big NO! 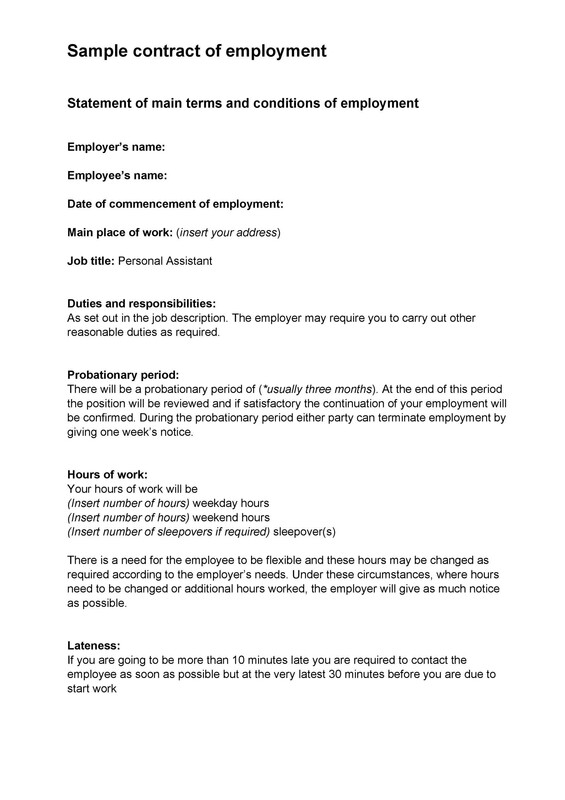 If you’re always busy and don’t have much time to spare, you can always use a contract template to write the contract. 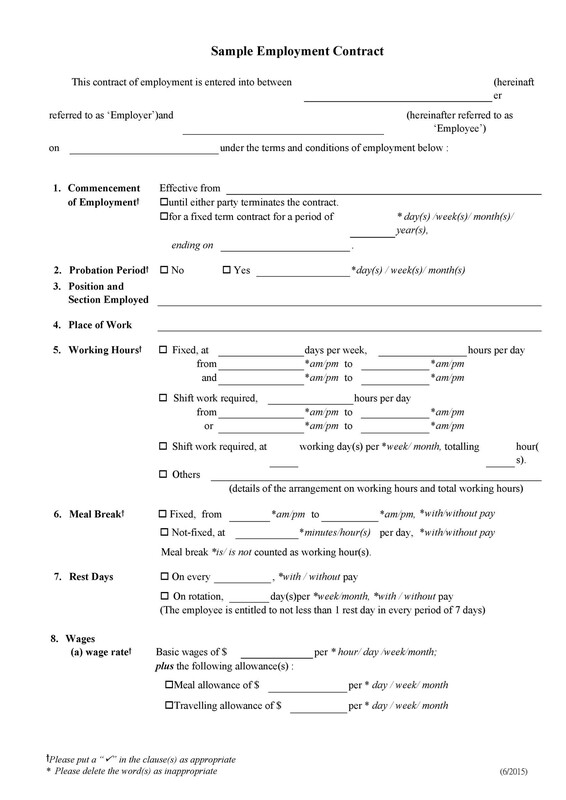 Contract templates eliminate the need to think long and hard about what to include in a contract and in doing so make writing a contract easy and quick. 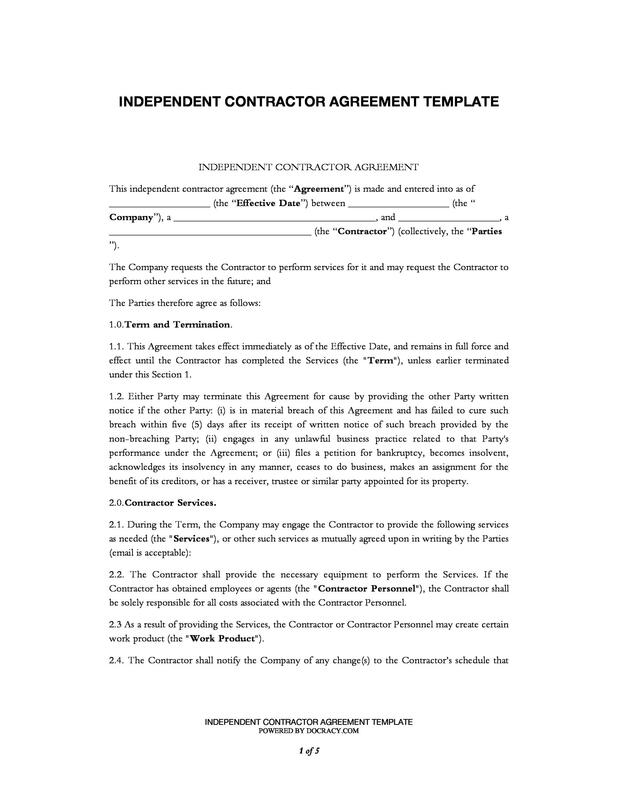 With the help of sample contract templates, you can easily write a contract. 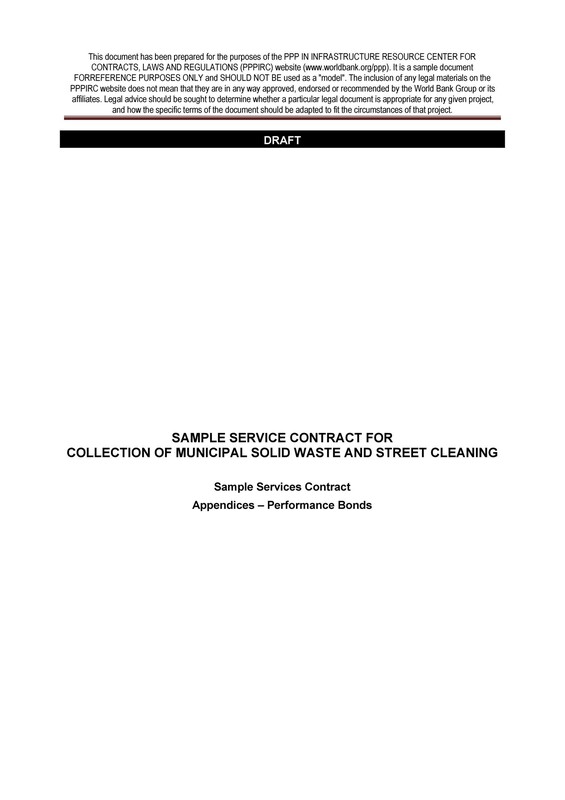 We have many sample contract templates that you can use to write a contract.